Hijiri so moe~ Once you read this chapter you'll see why I put it in front of Plana-chan. 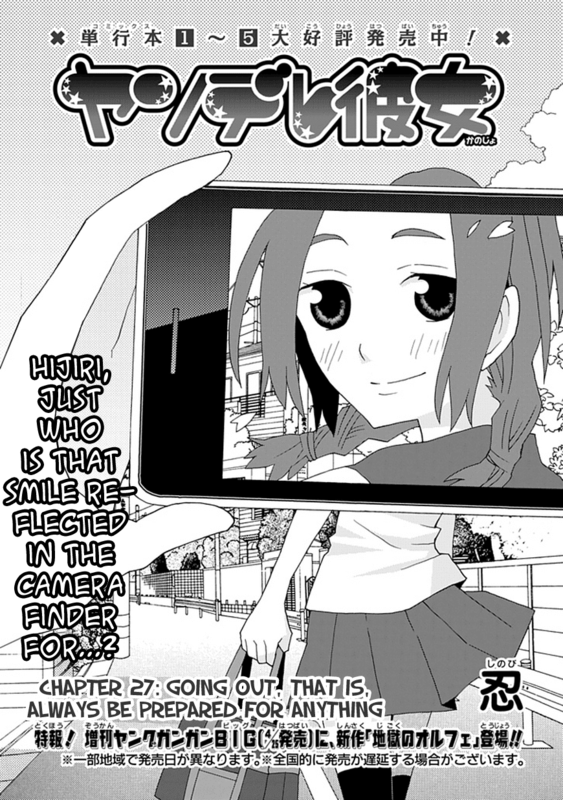 Also I have the next magazine chapter of Yandere Kanojo which is based on April Fool's Day, but that one I will be putting behind Plana (I don't even have it scanned yet!). Also this month the tankoubons I got with my magazines were the 6th edition of The Trap Anthology and Okujou Hime. P.S. - Domina 30 was v2'd and I TL'd the 4koma in the Madoka BD. No she's a she. "The Trap Anthology" (http://tinyurl.com/3kdz3uj) a set of short stories involving traps. I currently have all but the most recent one (not so surprising considering I have WOW!Scans' banner up there). Oh... well you had me confused since you were talking about traps in the same sentence you started talking about Okujyouhime... Well, that's a relief. Hi, i am a fam from Perú, my name is Benjamin Mamani, i love both series(domina and yandere). Please continue whit this work, you are the best!! !.